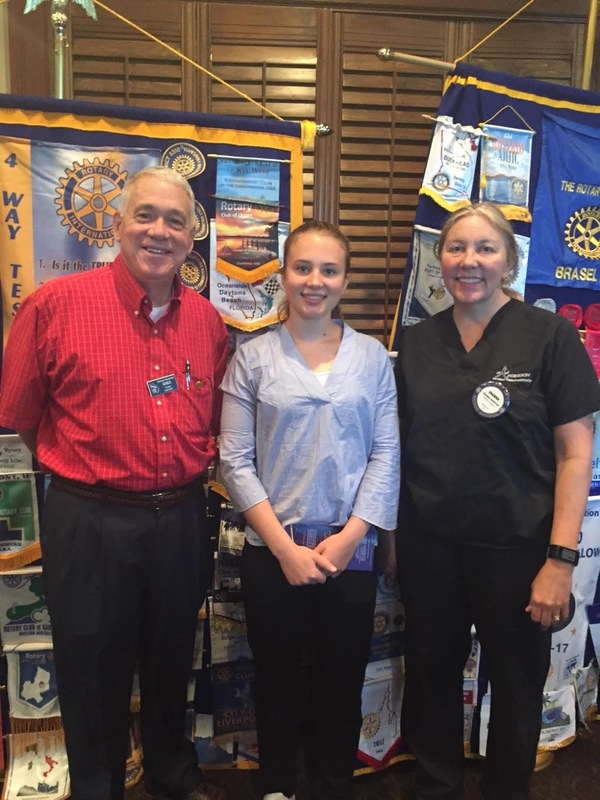 Braselton Rotarians got an update from Georgia Rotary Student Program participant Alice Harting, of Sweden, at its Sept. 21 meeting. Those are a few of the words Georgia Rotary Student Program (GRSP) recipient Alice Harting used to describe her goals for the year. 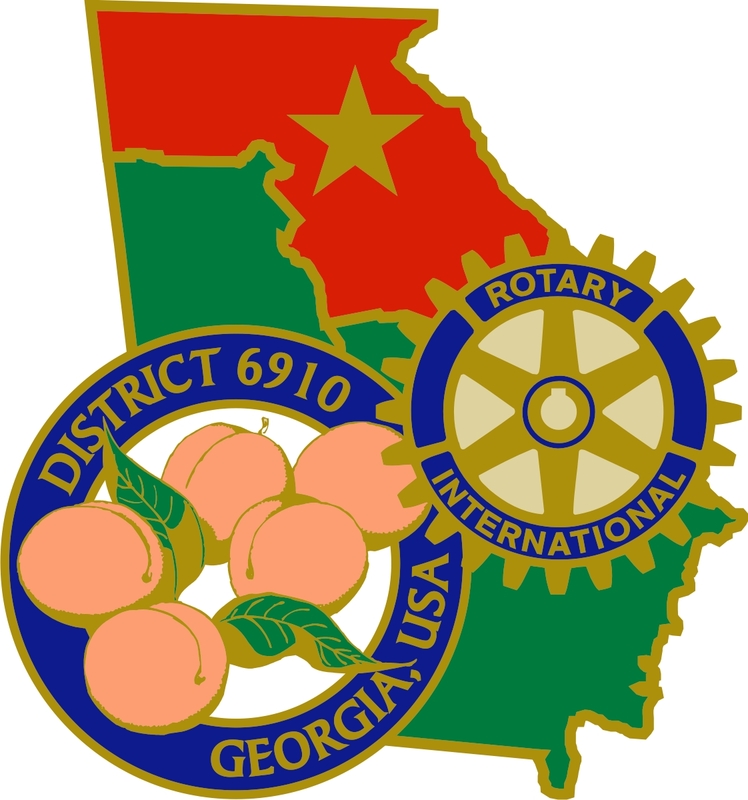 Harting, of Sweden, spoke to the Braselton Rotary Club in September about her goals while participating in GRSP this year. Harting said she hopes to meet people from different countries and hear about their culture. “Those are truly fascinating stories,” she said. Harting also wants to share her stories from Sweden with others. 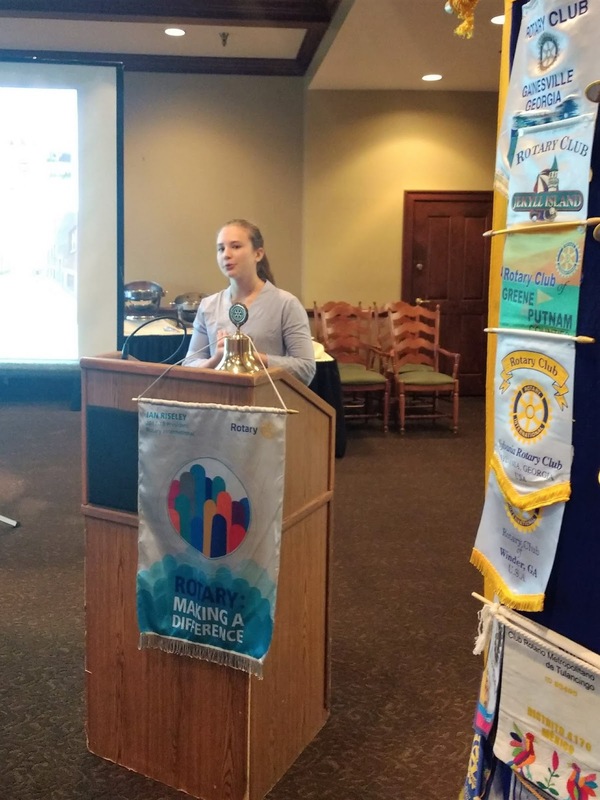 She gave Braselton Rotarians highlights of her life in Sweden, describing her family, where she lives and her hobbies including water sports and team gymnastics. Harting also wants to learn more about American culture while staying with her host families. “I have the most amazing host families that have welcomed me and taken care of me like one of their own,” she said. She noted the biggest difference she’s noticed in Americans is their sociability and friendliness with strangers. And she’s already picked out some of her favorite American foods: waffles and pulled pork. At the Thursday meeting, she was looking forward to attending a football game set for that weekend. “That’s pretty much as American as you can get,” Harting joked. Georgia Rotary Student Program student Alice Harting (middle) is shown at the Braselton Rotary Club meeting with (left) GRSP trustee Mike Alexander and (right) host family member and Braselton Rotarian Shawna Anderson. Harting hopes to travel in the western United States and to the nation’s national parks. Harting is attending Georgia Gwinnett College and — while she plans to study math or physics when she returns to Sweden — she’s using her courses to better learn about American culture. Harting is enrolled in anthropology, sociology, psychology and more. “Given how this program is based on differences in culture, to take those kinds of courses is a good supplement to understand what’s going on around you and to understand other people,” Harting said.